We have a full dispensary of natural products. 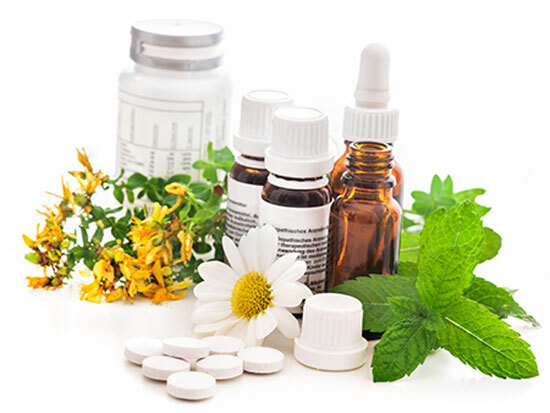 Naturopathic physicians are considered dispensing physicians, and New Health Medical Center has a full dispensory of natural products (nutritional, botanical and homeopathic) of exceptional quality and potency. These are professional brands, available in professional health care settings and, for the most part, not in retail stores. They are available by prescription from the naturopathic physician to patients as part of their treatment program at prices comparable to what retail outlets would charge, but not generally reimbursable by insurance companies. A 10% discount is made for any supplements purchased on the first visit. After that, whenever supplements are purchased totaling more than $100, we will be happy to offer a 10% reduction when those supplements are paid for by cash or check, and a 5% reduction when those supplements are paid for by bankcard or debit card. Responding to the special needs of our patients, uniquely effective natural products have been developed or recommended from existing product lines, and can be ordered online. I would like to replace my prescription meds with natural meds.Im on blood sugar,colesteral,and blood thinner meds.Can you help? Thanks for inquiring! We can certainly take a look at your prescription medication and make a decision on how to get off of those. Prescription medications are fairly potent and to go cold turkey is never a good idea. However, we may be able to taper some off with appropriate therapies and results. Please make an appointment at 425-775-6001 to discuss this in further details.